Drag it around to take a look! Click the button to save the 3D file. Open the file from your computer's drive. 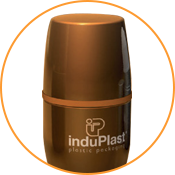 Since 1958, induPlast has specialized in designing and manufacturing containers for the cosmetic, personal care, and pharmaceutical industries. 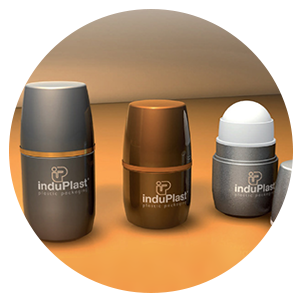 The company’s experience in the processing of contemporary plastics, the use of an impressive number of decoration techniques, and the skill of the firm's staff, all combine to make induPlast an undisputed market leader within its target sectors. 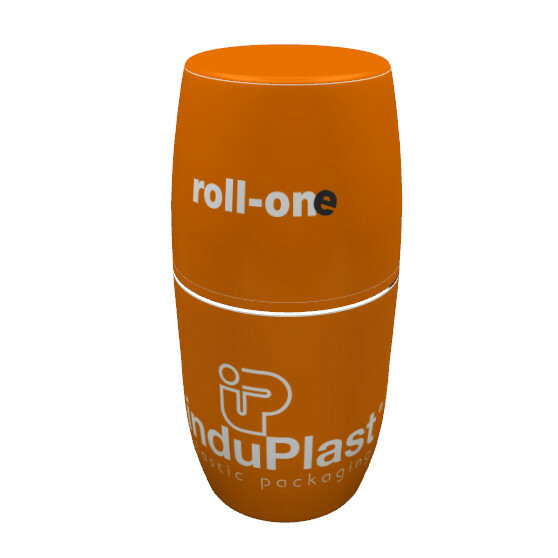 The personal care space has been dominated by induPlast with a number of containers, one of which is its popular and distinctive Roll-one line, a range of big ball roll-ons which were originally designed to offer client firms an alternative to standard items. The Roll-one enables products to stand out on the shelf and provides consumers with a better application solution. The unique shape and size of the Roll-one family is an excellent representative of the Italian style and design capabilities one would expect to associate with top induPlast. Further, the company's fully automated manufacturing processes and quality assurance checks provide a guarantee of excellent quality. 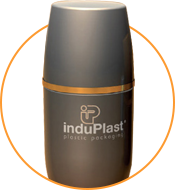 All of induPlast's ranges may be decorated using a number of techniques to ensure companies can create a unique and attractive piece of packaging with induPlast's standard ranges as a base, including the Roll-one. Current options include UV silk screening, hot stamping, and customized finishes including glossy or matte metallization, and additional label applications. 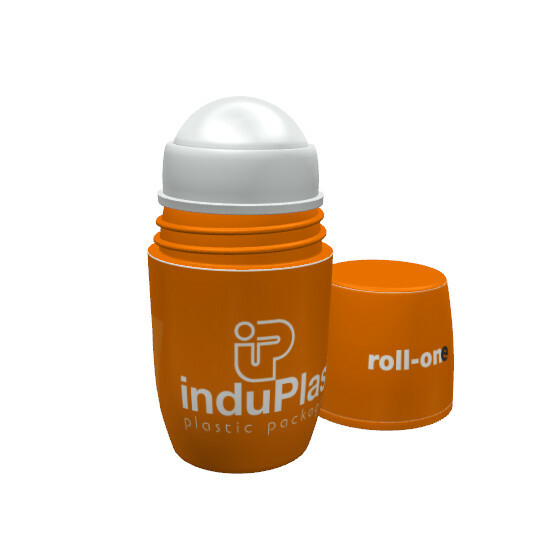 The Roll-one is made of be 100% recyclable materials (PP and PE) and currently comes in capacities of 50ml and 75ml, both with in-mould matte or glossy body and cap finishes. The ball is sized at a whopping 35.5mm (1.4 in), providing better application coverage that consumers prefer and that is in line with the latest market trends, making them perfect for several purposes including personal, body care, para-pharmaceutical and anti-mug formulations. The Roll-one line is 100% EcoCert/Cosmos standard approved! This additional attestation is helping brands to complete the Ecocert/Cosmos certification process for their products being packaging approval a main step in the certification process. The Roll-one, then, is bigger, easier to use, and more elegant than other options currently available, and it's easily recycled. making it more eco-sensitive. It's the perfect container in which to ship a product that consumers will love, driving repeat purchases.